Below is a list of all the soccer (futbol) fields, clubs, stores, and sports centers in and around Tucson, Arizona. This group has Women’s and Coed leagues that you can join. The Women’s has three divisions and the Coed has five divisions. CDO Soccer Club is a community based volunteer run, non-profit youth sports organization. They have clubs, teams, coaches, specialty training and camps. There are many opportunities for parents, volunteers and other community members to become involved in CDO Soccer Club. This is a multi-sport arena that hosts hockey and soccer leagues as well as roller derby, dodgeball tournaments, youth camps, and birthday parties. Maracana Indoor Sports Arena has youth and adult leagues, pick-up games, tournaments, camps, clinics, and field rentals all year around. This place covers 155 acres, making it the largest professional sports and entertainment venue of it’s kind in Pima county. It’s for youth, high school and college athletes, and also used for concerts and community events. However, it is primarily dedicated to soccer activities, with a lighted 2,000 seat field, four MORE soccer fields, and another 2,000 seat stadium which is under construction. There is also an Adidas Store located in Marana, at 6401 Marana Center Blvd #852, for all your soccer gear needs. So there you have it! All the places you need to know to get your soccer on in Tucson, Arizona. Luxury residential real estate, such as the exquisite homes at The Residences at The Ritz-Carlton, Dove Mountain, have been attracting wealthy international buyers from South America and Europe. These homeowners have a strong desire to continue their home-country futbol traditions here in the US. 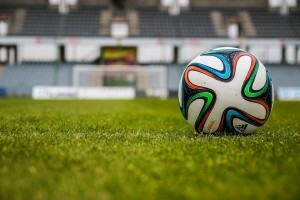 This list of soccer leagues in Tucson and soccer fields in Tucson is to help current and future homeowners get to know the town. If you’re interested in any of our luxury Dove Mountain homes, contact us today.